Cooking and Entertaining does not have to be complicated! Chrissy Teigen has beautiful food photos on Instagram, her favorite recipes can be found in her Cravings CookBook ! Being creative with ordinary items can create amazing results! 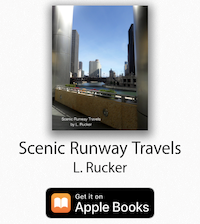 Scenic Runway Apps are available from the Google Play Store on your Android Device!